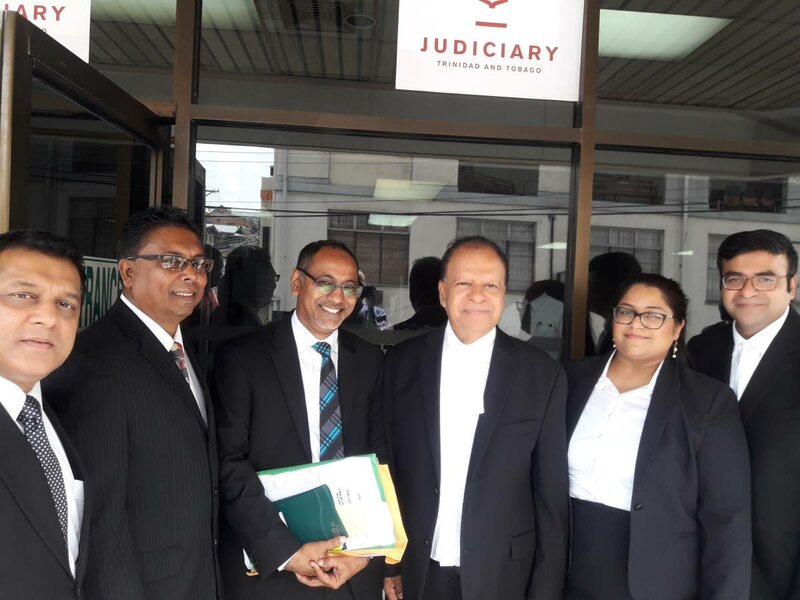 NEWLY-appointed Senior Counsel (SC) Khemraj Harrikissoon was welcomed to the inner bar by Justice Ronnie Boodoosingh last week during a special sitting in the San Fernando High Court. In his welcome remarks, Boodoosingh said Harrikissoon's law firm's wide range of practice will serve junior lawyers under his watch, especially those in south Trinidad. Harrikissoon, together with attorneys Ian Benjamin and Ruth Van Lare, were recently bestowed with the title of Senior Counsel or 'Silk' as is commonly called. They will occupy the courtroom's inner benches and the title 'SC' will be added to their names. The Second Civil court was packed with attorneys and former vice president of the Law Association, Hendrickson Seunath SC, also welcomed Harrikissoon. He has been in private practice for 38 years, Seunath said. A Senior Counsel or Queen Counsel (QC), of which there is no difference, Seunath said, must not only command respect of his peers, but be available to the State to offer advice. "Just as the QC is available to the Crown (in the United Kingdom), the SC makes himself available to the State whenever the Government is looking for advice," Seunath said. Attorney Merlyn Boyce also welcomed Harrikissoon on behalf of the Assembly of Southern Lawyers. Boodoosingh said Harrikissoon's law firm had a distinguished record of training scores of attorneys who have litigated a wide range of cases, including taxation and commercial matters. The judge then formally invited Harrikissoon to leave the outer bar and take up his position in the front bench. Among the senior attorneys who benefitted directly from Harrikisson's expertise were: Pamala Maraj, Winston Suenath, Boyce and Roger Kawalsingh. Harrikisson's wife, Hynia, son Narad and daughter Ambika, are also attorneys in family's law firm. Harrikissoon is also the holder of a Masters in Law and an MBA in International Business law. Reply to "Judge welcomes Harrikissoon to inner bar"